Being awarded the National Rural Ambassador at Royal Adelaide Show has been a fantastic experience; not only have I furthered my involvement within my own local Agricultural Show (Sale Show) and Melbourne Royal Show – I’ve also developed a fantastic network of young enthusiastic people, passionate about Agriculture and their local Shows! A little bit about me; I grew up on a beef and cropping Property in Gippsland, ‘The Holey Plain’, which is where my love for Agriculture began. My husband Andrew and I branched out to run our own farm comprised of Angus and Hereford Beef cattle. 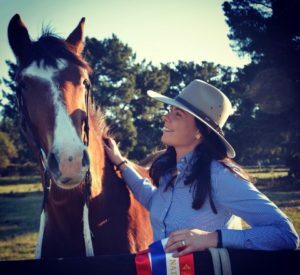 Aside from my love for Agriculture, I’m a keen horse woman and spend my spare time breaking and training young horses and show jumping my team of warmblood horses. Sale Agricultural Show is my local Show, which I’ve been involved in from a very early age; I’m currently the Junior Vice President for the second year running and the third generation of my family’s involvement in the Sale Agricultural committee. I’m very focused on the involvement of young people within my local Show and utilise the Young Farmers Challenge in our Show to do so – I founded the challenge within our Show at the night Carnival four years ago and has grown in involvement and popularity each year. Once young people feel empowered and contribute to their passion in the Show – it opens a door for wonderful things to happen! One of those wonderful things is increasing the longevity and survival of our smaller local Shows. I was privileged enough to Judge the Victorian Junior Rural Ambassador 2018 and MC for the Victorian Rural Ambassador 2018; and was amazed at how innovative and passionate these young people are. 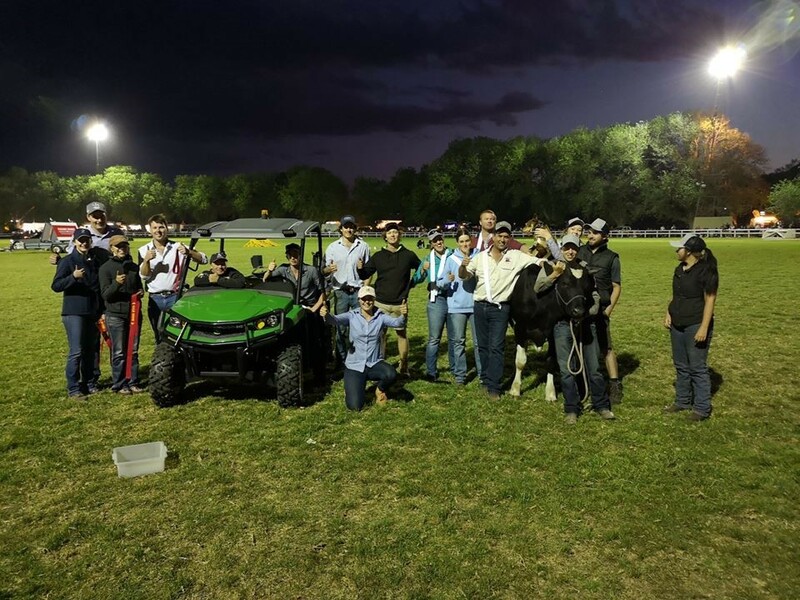 All contestants have such varied interests within their local Shows; with such supportive committees that encourage youth in Agriculture and support their involvement within their Shows. The Young Farmers Challenge is something I really encourage Shows to include in their program, it’s a fantastic way that likeminded, young farmers can get involved in and work together to produce a challenge that’s not only fun and exciting, but is a fantastic way to educate the crowd on Agricultural tasks and draw young people into their local Show societies. I’m very fortunate to be involved in such an innovative Agricultural Show society, and the committee were so open minded and supportive of me starting the Young Farmers Challenge within two short months of the idea coming to mind prior to our Sale Show. The Rural Ambassador program has been fantastic for networking and improving my lateral thinking when it comes to involving young people in our Show. Once I competed in Melbourne Royal’s Young Farmers challenge, I knew I had to have one at our own Show. Since establishing the challenge at our Show, it’s been my goal to implement the challenge at as many local Shows as possible and have a regional final to qualify for the challenge at Melbourne Royal, and by extension, the National final. Encouraging youth involvement is so important for our local Shows – not only does it provide a great social hub for likeminded individuals, it improves the sustainability of local Shows, developing strength for youth in Agriculture. It’s a tough time for farmers in Australia, and the worst drought our young farmers in Gippsland have ever seen, it’s a very important time for young farmers to stick together and our local Show is one of many organisations to come together and have some fun, which is what our young farmers challenge aims to do.